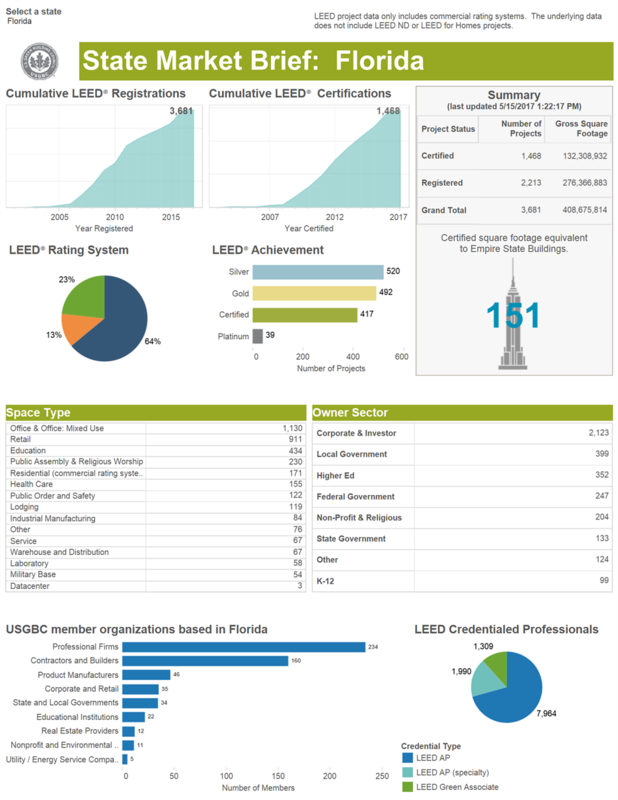 EVERY DAY USGBC Florida positively impacts all over the State through awareness, education, market transformation and policy advancement. We create demand for healthy, high-performing, resilient buildings through robust outreach programs that foster dialogue, continuous learning, and positive change. Our goal is to meet a community, population, sector and organization where they currently are in their sustainability journey, and help them find the right path for their situation. We supply high-quality, first-class green-building education to individuals, practitioners and owners to meet growing demand and to make sure green professionals have the latest and greatest information. Green building has greatly transformed large parts of the market from transparency in products and their ingredients to commissioning and making sure buildings perform at a high level. Through market incentives, benchmarking and innovation, we plan to achieve even further transformation by finding solutions to tough problems and creating many business and job opportunities along the way. Launched the LiveSMART (Sustainable Materials and Resources Trailer) initiative to educate 30,000 people a year about energy and water efficiency, green building and sustainable living. Helped hundreds of renters and homeowners be smart, sustainable consumers to green their homes and product and service choices. Helped numerous fellow nonprofits green their operations and create healthier places to work and help their clients. We are especially proud of helping the Women's Residential Counseling Center in Orlando and the Boy Scouts and Daniel Memorial in Jacksonville. Convene and foster conversation about big issues facing our State including resiliency, sea level rise, solar, climate change, water quality and supply, clean energy, municipal climate action and sustainability plans ... and much more. 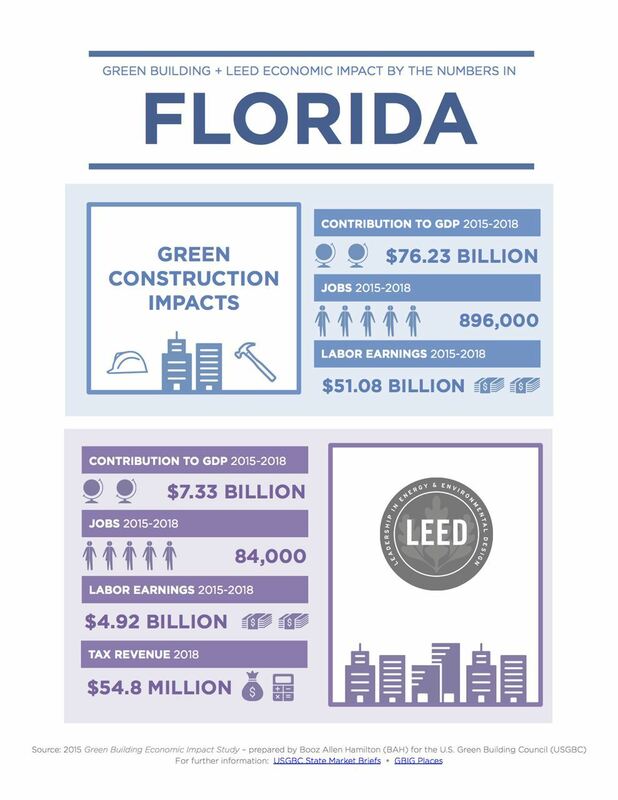 2015 Green Building Economic Impact Study by Booz Allen Hamilton finds green construction is a major U.S. economic driver.